(Feb 26, 2016) Top level young men and women soccer players from all over Italy come to Seattle each summer to play with OSA FC, a non-profit soccer club whose teams are comprised of both Italian and American players. 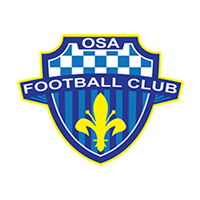 OSA FC's men's team plays in the National Premier Soccer League and the women's team plays in the Women's Premier Soccer League, both are national leagues. The teams have had great success. The women were the 2013 Northwest Champions and the men won an invitation to the US Open Cup in 2015. Host families can be anywhere on the Eastside or Seattle. The players will arrive at the end of May and will stay through the end of July or beginning of August depending on success and play-off schedules. Players have evening practices and games several times a week. Most practices are at Starfire, or at various sites in Seattle. Most home games are at French field in Kent, and the teams will travel for away games. Games are played on both weekdays and weekends. Players will need access to local transit and possibly help with carpooling to practices and games. They will need facilities including their own bedroom access to laundry and meals with their host family. This is a great chance to bring a cultural experience into your home, and make lasting international friendships!